Landon is a Senior Vice President and Wealth Advisor with Hilliard Lyons. Landon has been with Hilliard Lyons for 20 years and is a shareholder in the firm. 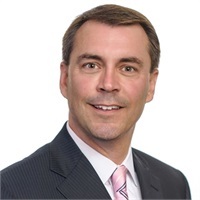 He received his Bachelor’s degree in Finance with an emphasis in Financial Institution Management from Middle Tennessee State University and joined Hilliard Lyons in 1998. He has continued his financial education by earning the Accredited Asset Management® designation from the College of Financial Planning and the Hilliard Lyons Chartered Wealth Advisor® designation. Landon resides in Murfreesboro with his two children. He coaches many of his children’s activities and is active in the community.